Ms Connie Yeung is an Architect by profession. 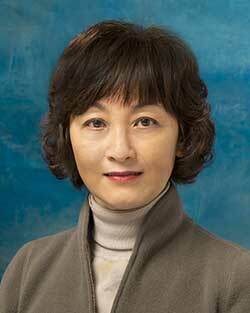 She is a member of the Hong Kong Institute of Architects and an Authorized Person (List of Architects). She possesses over thirty year’s bountiful experiences in the local construction industry. In the late 80s, she joined the Government as an architect in the Housing Department. Since then, she served a wide spectrum of duties from design management, project management, regulatory control to estate management. She also assisted the Department to promote sustainable development, green building, site safety, corporate social responsibility, community engagement partnering and risk management. Now as the Deputy Director of Housing, she supervises public housing developments of the Hong Kong Housing Authority, overseeing all fronts from project management, planning, design to contract management.